Only 90 Point Wines for $15 and Under at Costco? Does Price Correlate with Quality? 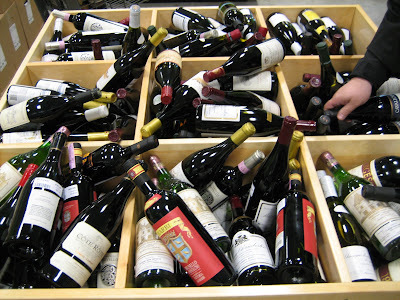 This Sunday, June 28th from 1-5PM, Bin Ends Wine in Braintree, MA will be holding a Wine Flea Market. I broadcast this information with a little hesitation- you might all beat me to the deals! I've been scoring what I think are some huge deals on wine at Bin Ends lately. 500ml bottles of 2003 Neal Family Cab for $18, a 375ml bottle of 2002 Ridge Monte Bello for $35, and a $25 375ml bottle of 97WS Sauternes come to mind. I'm hoping to find similar at this event- I hope to see you there. Like hearing about events like this? I'd love it if you subscribed to The Wellesley Wine Press.